There are so many beauty hacks out there that experts and their faithful followers are willing to swear by, but what’s really interesting is how many of these hacks are actually helpful. How many of these beauty tricks and shortcuts may be causing your skin some serious damage? Queen Odelia is here today with a post that lays it all out for you. Many women who struggle with oily skin are willing to try their luck with whatever beauty tricks they can get their hands on, all for the sake of having smooth, matte skin. A rumor reached our ears that applying deodorant to the T-zone section of your face will keep your skin oil-free throughout the day. We were a bit baffled by the hack, and our dermatologists confirmed that this is a MAJOR don’t. Deodorant contains many chemicals that are specifically geared to your arm-pits. These chemicals can cause extreme dryness, and increase skin cell breakage, premature aging, and acne breakouts if applied to the face. One of the most coveted beauty features today are long lashes. Women are willing to go to a lot of trouble to paste on false lashes every day, and it doesn’t stop there. Apparently, some people think that rubbing Petroleum Jelly or Vaseline on your lashes makes them grow longer. This is a terrible mistake. Both of these ointments are far too strong for the sensitive skin surrounding the eyes and can cause cysts along lash line. Because Vaseline and Petroleum Jelly are water-repellent and not water-soluble, they just suffocate your pores so that free radicals are trapped beneath your skin. If you really want to hasten the growth process of your lashes, it is best to apply a bit of castor oil to your lashes before going to sleep at night. Lots of people are skeptical when it comes to buying beauty care products, and many prefer to brave the world of DIYs. However, using sea salt as a facial scrub can cause irreparable cuts and scratches to the surface of the skin. These painful little bruises can scar over and are very hard to conceal. We recommend using an effective exfoliant which dissolves easily and removes all remnants of dead skin cells in a way that improves the skin’s texture. Another curious beauty hack is rubbing your nails with lemon juice to increase their growth rate. As we all know, lemons are extremely acidic and can cause your nails to dry out completely, making them brittle and easily damaged. The last hack that we know people are still willing to put good money on is spraying cooking oil spray on your nails to speed up the process of drying them after applying multiple layers of nail-polish. The sad and simple truth of the matter is that spraying cooking oil will only dry the top layer, so if you are not interested in spraying oil between layer applications, this hack is a no-go for you as well. That’s it for today, folks. 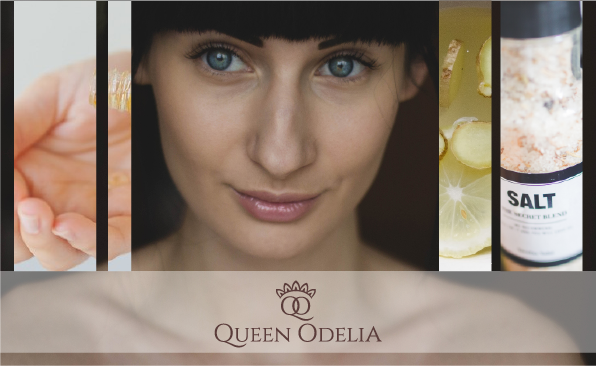 Queen Odelia’s beauty hack face off to give you the run-down on which beauty hacks are actually causing damage to your skin and should be tossed into the wastebasket. We hope you find this information helpful. But remember to keep asking questions so that you keep finding the answers!